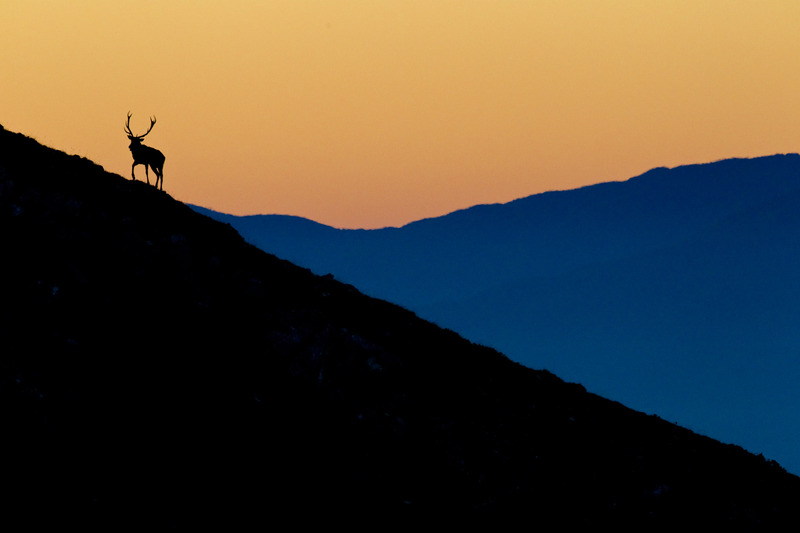 A red deer stag silhouetted against the sunrise in the Central Apennines rewilding area in Italy. With pilot projects across Europe, Rewilding Europe has gained significant experience and insight into the practical side of European rewilding since its foundation in 2011. Co-authored by Rewilding Europe managing director Frans Schepers (FS), head of rewilding Wouter Helmer (WH), and supervisory board member and leading rewilding-focused academic Dr. Paul Jepson (PJ) – a new article in a prestigious UK scientific journal now provides a European perspective on putting rewilding principles into practice. 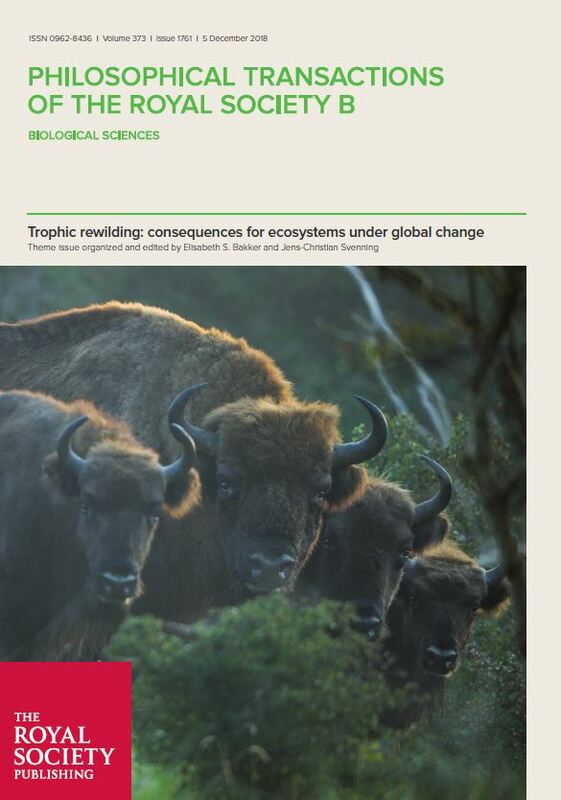 Appearing in a rewilding-focused issue of Philosophical Transactions of the Royal Society B: Biological Sciences – published biweekly by the Royal Society in London – the article is based on an analysis of three pioneer rewilding projects in the Netherlands (Gelderse Poort, Border Meuse and Kempen-Broek), and an analysis of three of Rewilding Europe’s focal projects (Danube Delta, Western Iberia and the Velebit Mountains). Dating back over the last 30 years, the three Dutch initiatives illustrate the key role of innovative pioneer projects and multi-partner networks. These have created policy support for rewilding as a nature-based solution to environmental and social challenges. Continuing this theme, Rewilding Europe’s focal projects offer insight into the various factors that may enable or constrain this rewilding action approach in different contexts. To explain the article and its findings a little more, we caught up with the authors and asked them a few questions. What would you say is the key message of this new article? FS: I would say that the key takeaway from the article, which is derived from the experience and insight gained through these six projects, is that the “action philosophy” should be the lead principle in moving rewilding forwards. “If you have a vision, begin it”, a famous German philosopher once stated. At Rewilding Europe we recognise the value of theoretical discussions and debate, but we are also very committed to practical and tangible rewilding efforts that can really demonstrate the benefits that this conservation approach can bring to both people and wild nature. We also want to emphasise that scientists should view the rewilding process as dynamic and stochastic. They should not view it through the perspective of pre-determined targets or ideals, as this may constrain its transformative potential. Rewilding will always be an ongoing process of “becoming”. What else can we learn about practical rewilding from the six projects featured in the article? WH: Every rewilding project is obviously different, but on a more general level we can see that the scaling up of rewilding in Europe is still constrained by institutional cultures. Innovation in conservation finance and business models could make its implementation far more widespread and effective. This is why Rewilding Europe is focused on developing scalable models with a strong business and financial case that can be adopted by others. From Rewilding Europe’s own projects we can see that facilities such as the European Wildlife Bank, Rewilding Europe Capital and European Rewilding Network can really help implementation of the rewilding process across Europe by restoring natural grazing dynamics and creating new natural assets that promote innovation, enterprise and investment in and around areas undergoing rewilding. Kempen~Broek, situated on the northeastern edge of the Kempens Plateau in the Netherlands, is one of three pioneer rewilding projects analysed in the article. How would you summarise the rewilding approach defined and practiced by Rewilding Europe? Are there any major differences between the approach taken to practical rewilding in Europe and other places, such as North America? 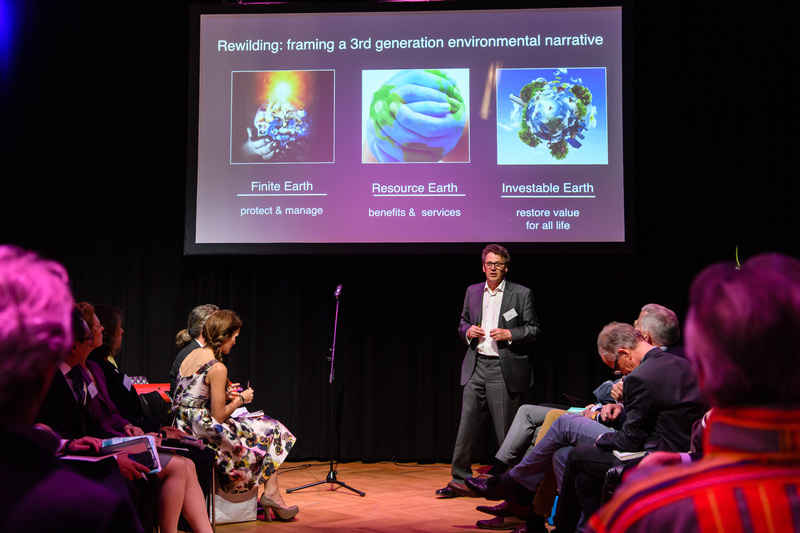 At Rewilding Europe’s Wild Ways event, held in April 2017 in Amsterdam, Paul Jepson explains how rewilding is becoming a new conservation narrative. PJ: In North America, rewilding emphasises the protection and connection of large core areas, and the reintroduction of missing predators such as wolves. This is often referred to as the “three Cs” approach: Cores, Corridors and Carnivores. European rewilding has a different starting point; we need to reassemble our guilds of large mammal species, for example, and we are interested in pursuing rewilding goals in densely populated lowland areas, as well as less populated upland areas. We suggest that the key difference is in conservation worldview. North American conservation and rewilding is strongly influenced by deep ecology, wilderness and preservationist worldviews, with part of the idea to restore places where human presence is limited. In contrast, the version of European rewilding we describe embodies worldviews aligned with pragmatic realism. Nature, society and economy are intertwined, and there is little value in attributing blame when it comes to missed conservation targets and negative biodiversity trends. Through rewilding, we can take inspiration from the past to create new natural assets, working with restored natural processes and human societies to shape a better future for both people and wild nature.